Sindh has a rich heritage, spanning several centuries and dynasties. When you observe Islamic architecture and other ancient architectural wonders around the world, you can’t help but ponder over the fact that the people of that time were far more talented and skilled than us. 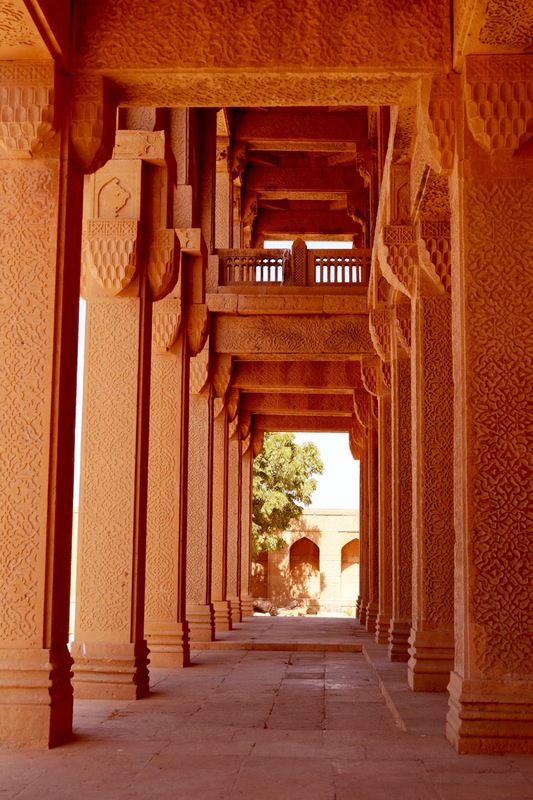 Makli is a vast example of this, not to mention the Shah Jahan Mosque which is a little distant away from it. Thatta, in this regard, has treasures that are diminishing at an alarming rate. It was the capital of Sindh for 95 years and is also called The City of Silence which is quite relatable given the serenity and calm prevailing there (or so it seemed during the day). Makli is one of the largest necropolises in the world and is spread over an area worth 10 km along the outskirts of Thatta, it has a rich history spanning 800 years. 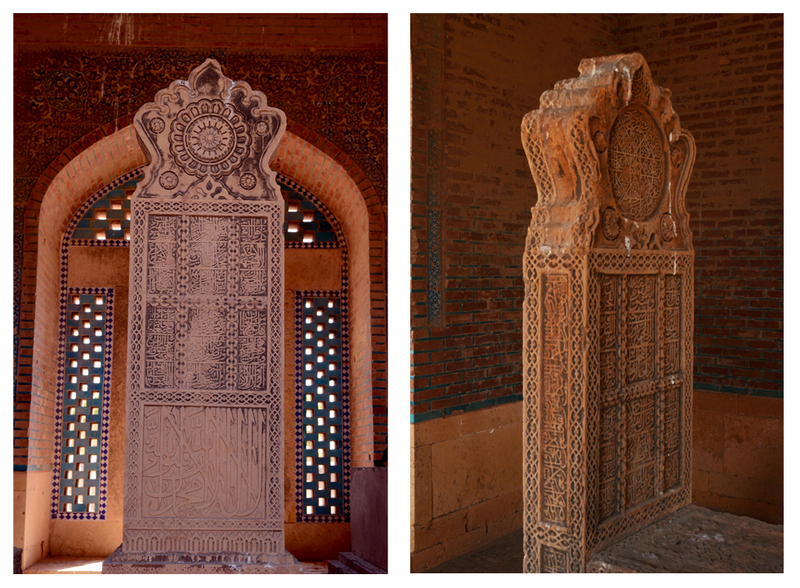 In 1981, UNESCO had it make its way to the World Heritage List under the tile of 'Historical Monuments of Thatta'. 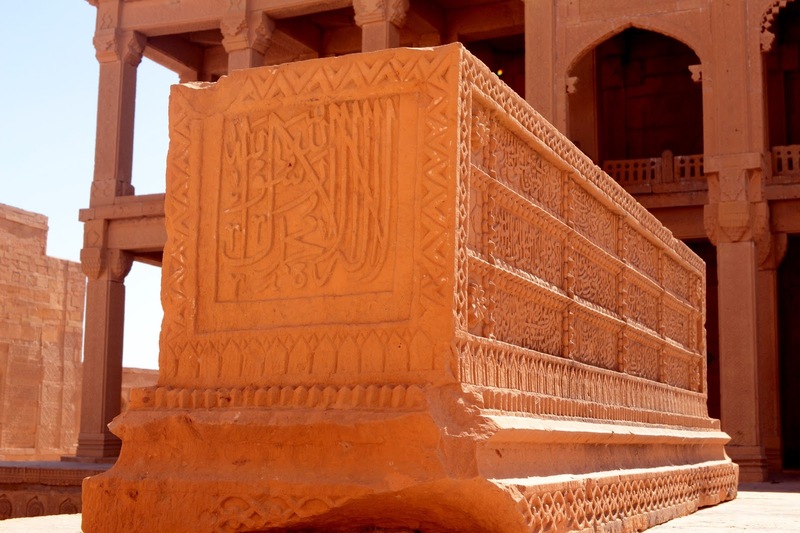 Makli is home to the graves of royals, philosophers, sufi saints and accommodates several tombs which are now in dire need of restoration. Despite some efforts, the original artistic state cannot be restored to its original state also due to the lack of that particular skill set. 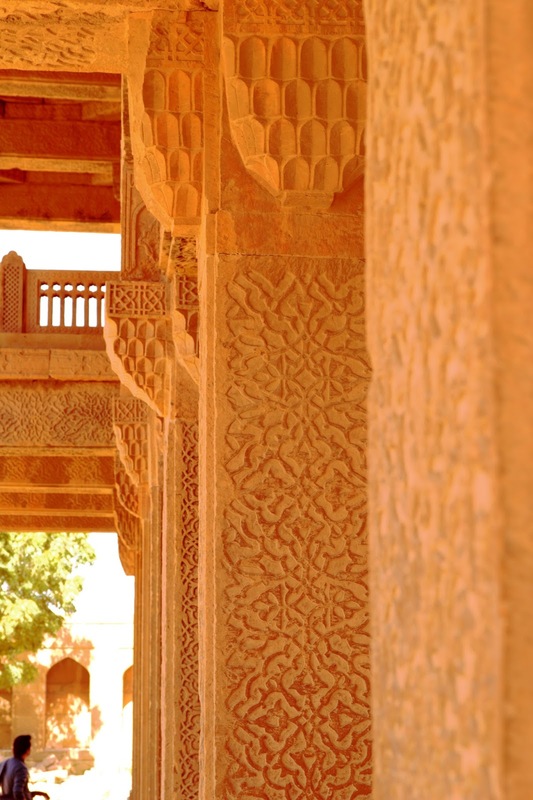 Makli’s Architectural wonder from the Arghun, Tarkhan and, Mughal period (1524 to 1739). 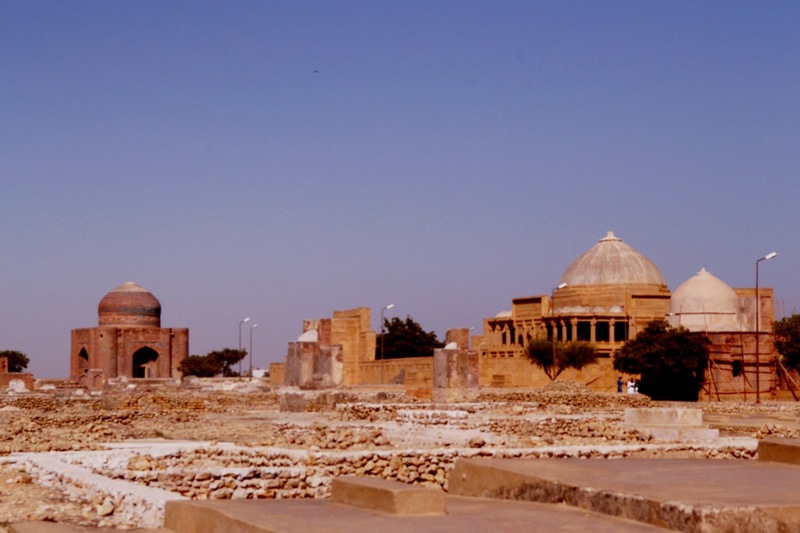 When the Samma Dynasty made Thatta their capital, this famed necropolis become an important burial site between 1352 and 1524. 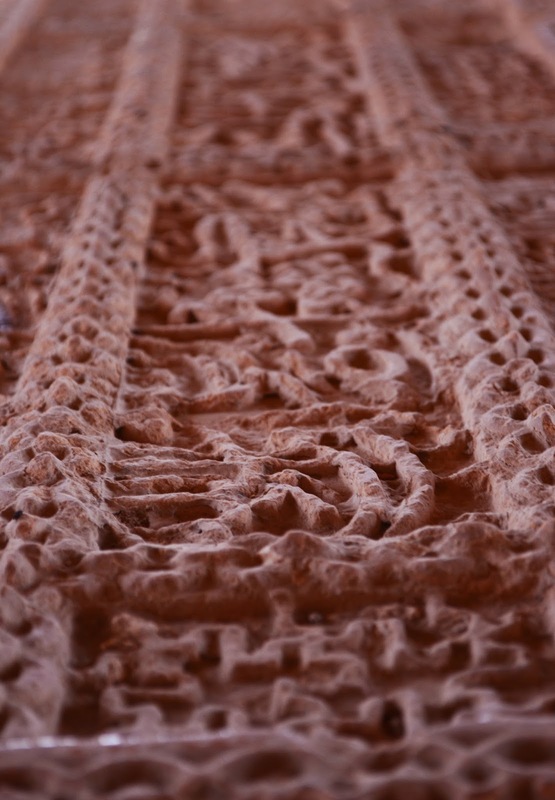 The details and carvings on graves and tombs at Makli taking shape of intricate designs have been etched into perfection, that too, done at a time when technology did not exist. 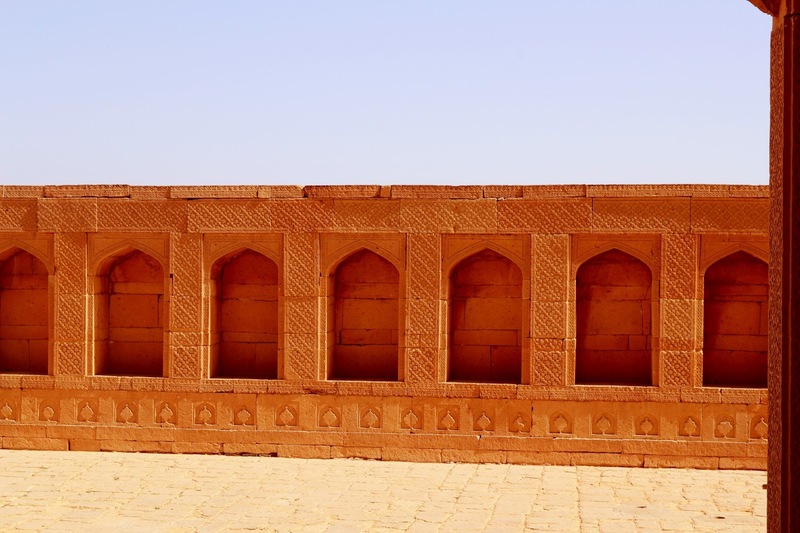 Perhaps what we call technology is something those craftsmen possessed in a far superior form, given the perfect symmetry achieved in the arches and tombs. Be it the pyramids of Egypt, the Roman architecture, Mughal architecture or the striking wonders of Makli, rest assured that there was a human race perhaps far more spatially intelligent than us. These are the places that make you want to travel back in time and definitely not the future. I happened to visit the place with my photography class colleagues and teacher from Alliance Française last Sunday; it turned out to be an almost 2.5 hour journey from Karachi and we made the most of the educational trip. You would be amazed to see the bird species on the way and I had to constantly resist the urge to jump out of the van to shoot those strikingly beautiful birds with my camera. Lesson learnt for future trips – get a new lens meant for wildlife photography although what I have now would suffice. As we finally reached our destination, we were awestruck by the stark contrast of the historic site’s splendour and its gradual turmoil due to climatic furore and theft committed by none other than our very own humans! National treasure is not a monument for your drawing rooms, fellows! May the ghosts of the inhabitants of Makli haunt you till the Afterlife --- okay, end of the emotional outburst, let’s carry on with what’s left of it, shall we? 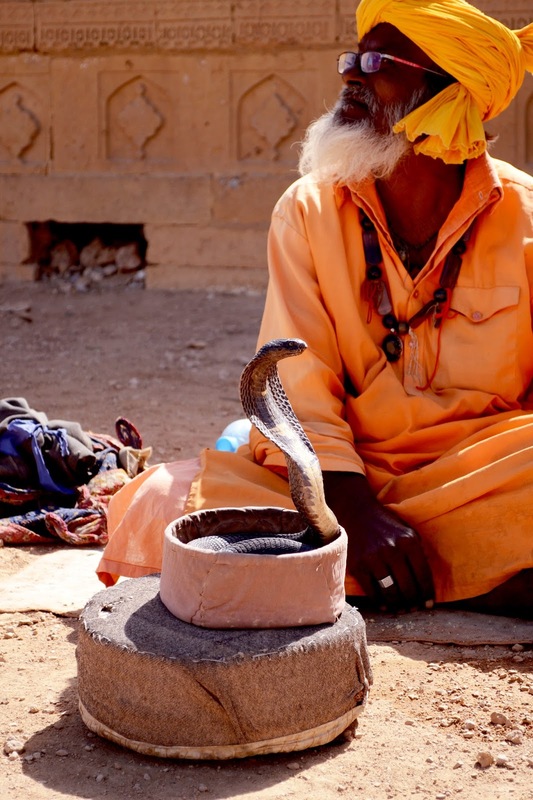 Much to our photographic interest, there were snake charmers in the vicinity. This cobra and the saffron coloured attire of the snake charmer caught our attention as we were constantly shooting him with our cameras … pretty innocuous a gadget a camera is, it shoots but doesn’t harm anyone (no snakes were harmed in the shooting of this picture). I simply couldn’t take my eyes of this magnificent structure! Time was short which is why one visit would not satiate the thirst triggered by your adventurous soul, provided you possess one so you have to go again. After quickly visiting some of the tombs, we headed out to our next destination, the spectacular Shah Jahan Mosque! 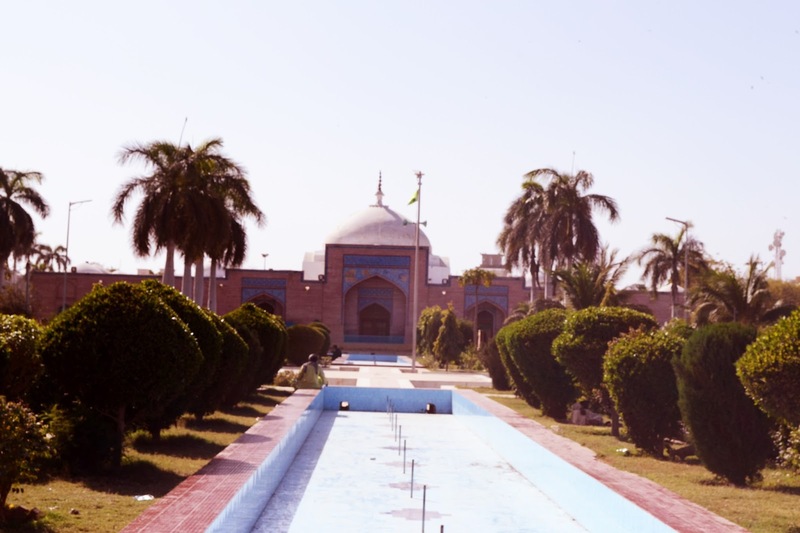 The garden surrounding the mosque was well equipped with flowers that added to the magnificence of the place and the tranquility that prevailed. Below is an angle of the spectacular view of Shah Jahan Mosque, presenting its perfect symmetry along the arches. With its foundation laid in 1644 during the glorious reign of the Mughal emperor, Shah Jahan, it's construction was completed into perfection in three years. Thus, by the year, 1647, the Shah Jahan Mosque reached its final stage of immaculate craftsmanship. 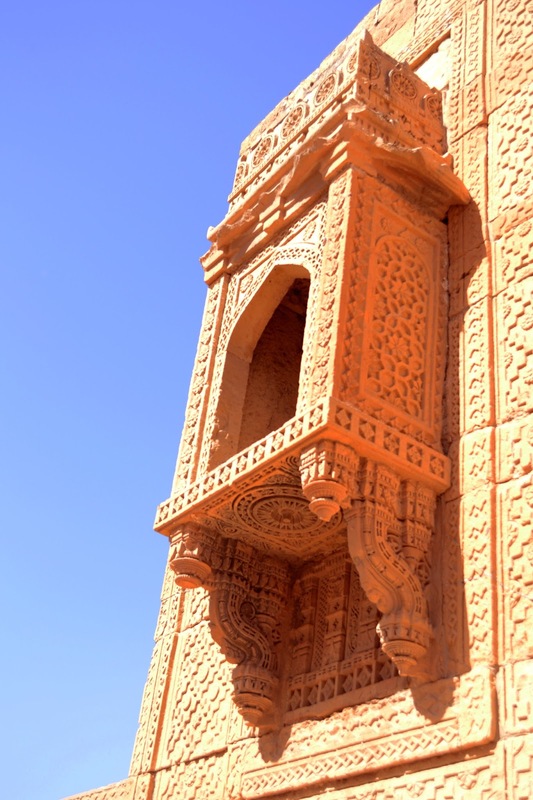 It was constructed as a gift to the people of Thatta for their hospitality. The construction of this exquisite structure had cost Rs. 900,000 and can house about 20,000 worshippers at a time. It has 93 domes and 33 arches along with a large 52 meter x 30 meter courtyard at its centre. If you stand there and look at the arches within the arches, amidst the geometric excellence, you would feel hypnotised by its perfection and well calculated construction. One of the several incredible features this mosque possesses is its acoustic capability; the Imam reciting the Azan (call for prayer) can be heard throughout the building including its courtyard, the four wings, and the vestibules. This is another testament of the architect’s exceptional capabilities that are visible till date. He is also buried just outside the mosque and that particular gate was shut forever after his burial. The visible cracks and crevices worth years of neglect present an inevitable sign of aging, something that could be fixed through rigorous restoration but in vain. We seem to be better off at destroying our heritage than preserving it, however, we can only hope not to become absolute philistines out of our very own human existence. While we were returning, we were able to witness the sunset of Thatta! Until next time, it's goodbye! I had been to this place many times and whenever I go there...its a nostalgic experience but also a disappointment to see more worse condition of such beautiful places. So in love with these places especially Makli Graveyard. Blog title is rightly choosen "The Diminishing Treasures of Thatta"
Reading this blog feeling pleasure and Sad both at same time, Happy to see what great treasure we have in our land and Sad to see how we are gonna loose it shortly it action not taken immediatly. But writing about these is also a way to preserve it and educate the people. Thanks for dropping by. Yes, sometimes I fear we will be left with this to be talked about only in books as we have no means of curtailing theft at historic sites.